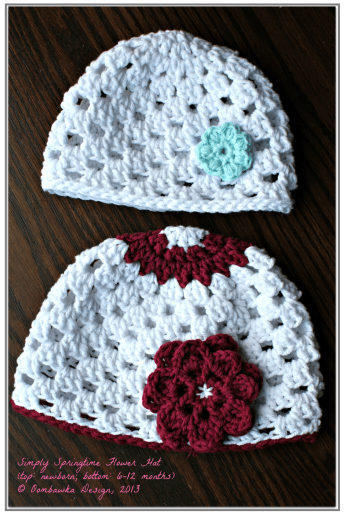 This is a very simple and light springtime/summer hat pattern – there are 2 different flower embellishments included in the pattern. 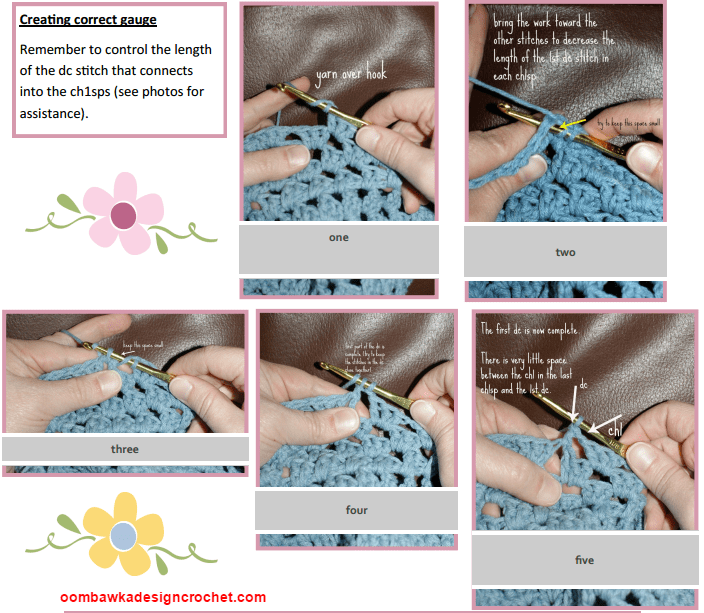 The hat is crocheted using a 5.00 mm crochet hook, until the final round where I recommend a larger hook size (6.50 mm) for the decorative slip stitch edging. 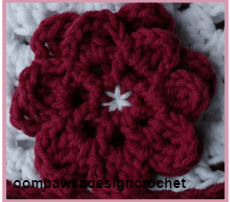 Based on popular request I have decided to add this pattern directly to my website 🙂 Please scroll down for the full pattern! 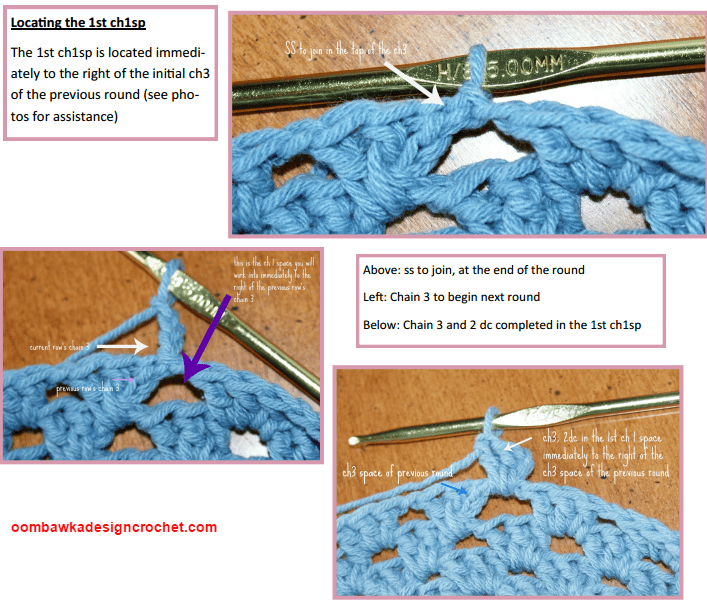 R2: ch1, [puff stitch (see instructions below), ch1, ss] in each sc around (8x) , ss to 1st ch1 to join, F/O (creates 8-petals). 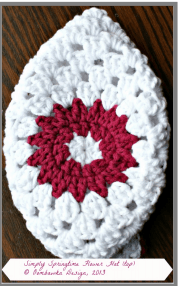 Layer the flowers, one on top of the other and stitch (with a contrasting colour of yarn) through the centre. 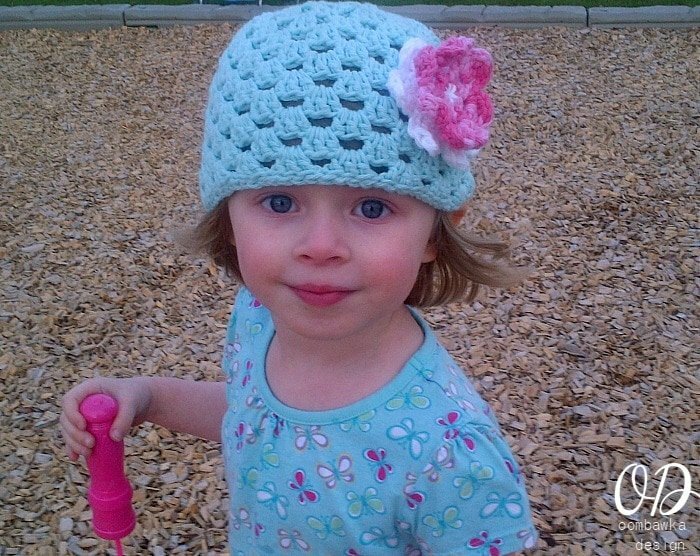 You can also securely attach a button or bead to the centre, before attaching the flower to the hat. For the colour change used in the photo, change colour at the end of R1 and then again at the end of R3. To attach the colour for R4, attach the colour in the ch1sp to the right of the final ss of R3. Thank you Kathy 🙂 I’m happy you like it! I love how light and delicate the hat looks.the flower is so bright and pretty. Can’t wait to make it for my granddaughters and great nieces. Thanks so much for helping me with my super beginner questions. I should be able to do this but I’m lost. For the new born size, when I close my first ring, will I have 6 dc plus my ch 2? Thank you for this great pattern! It was really fun to do! Thanks Sandy 🙂 It works up quickly too – which I like!